I love browsing at Net-a-Porter where you can find the most stylish clothes, shoes and accessories. This time I have been checking the shoe section and found some amazing styles from this season on sale. How good is that? You can view the whole sale collection here. If you have time also check their weekly magazine The Edit with interesting articles and fast forward fashion ideas. There is nothing better on a day off than strolling around the city, chilling and just enjoying life. 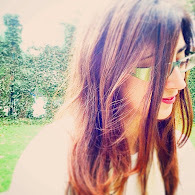 Yesterday, after my morning workout at LA Fitness, I got ready and walked down Westbourne Grove and I ended up in the heart of Notting Hill: Portobello Road and the Saturday's antiques market. The sun was shining and it felt like summer... Like the song I was listening to while I was on the treadmill this morning: "Summertime in the city, girls dress hot, boys go silly". Portobello road was so crowded and it took me quite a while to walk from end to end. I squeezed myself into the crowds and let the sun dry my wet hair from my morning shower. I took some pictures and I would like to share them with you. Take a guess what this is.... Flavored marshmallows is the answer!!! A few months ago I went to the West End to watch my first ever musical in London. 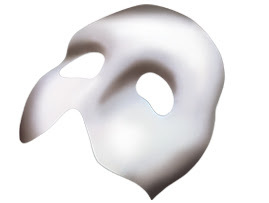 For this first time experience, I chose one of the most popular and most watched musicals ever: The Phantom of the Opera at Her Majesty's Theatre. Based on the French novel Le Fantôme de l'Opera by Gaston Leroux, its central plot revolves around a beautiful soprano, Christine Daae, who becomes the obsession of a mysterious, disfigured musical genius.. The musical opened on 9 October 1986 with music by Andrew Lloyd Webber and now in its 27th anniversary it still continues to captivate audiences. The theater was full and there was not an empty seat in sight. I was not allowed to take any pictures inside the theater but I managed to take a few (naughty!!). I particularly like this one where you can see Christine and the Phantom's reflection on the mirror. The captivating music and the Phantom's reflection made me jump from my seat for a second! I also love the film adaptation of the book with Gerard Butler and Emmy Rossum. Every time it is on TV I happily sit and watch it and sing along..
Have a lovely day everyone and enjoy June's last weekend! Great news today!!! It is Friday, I am (not) in love - don't know if that is good though - the weekend is coming and I finally booked my flights for my summer holiday. I will be landing to Athens on the 12th of August and I simply can't wait. Now, I have something to look forward to and maybe I will stop complaining about the English weather (it was raining again today!). In the meantime, I started reminiscing my last summer holiday in Rhodes one year ago. It coincided with my sister's wedding and we had a blast. During my stay there I also visited Simi and the food was so delicious!! The party started on the plane with a glass of wine! My skin's whiteness in all its glory! This was not a white wedding but a colourful one!